How many wonders can one shopping cart hold? Don't walk, RUN to your computer. ShopDisney has officially kicked off their Friends and Family Sale, meaning everything on the site is 25% off. All you have to do is enter code DISNEYPAL at checkout! If you're a diehard fan, you know finding the perfect accessory to show off your love for the brand is basically an art form. Luckily ShopDisney has plenty of products for Mousketeers of all ages like myself to obsess over. 1. These VHS case clutch bags featuring Disney classics like Beauty and the Beast, Aladdin, and Hercules. I already own the VHS notebooks and I'm obsessed, but these padded, vinyl-covered clutch bags are even better! They are exactly what I (and every other '90s Disney kid) need for our visits to the parks. If you're not ready to commit to a full handbag, they're also available in adorable keychains for only $5 (plus the 25% off!). 2. 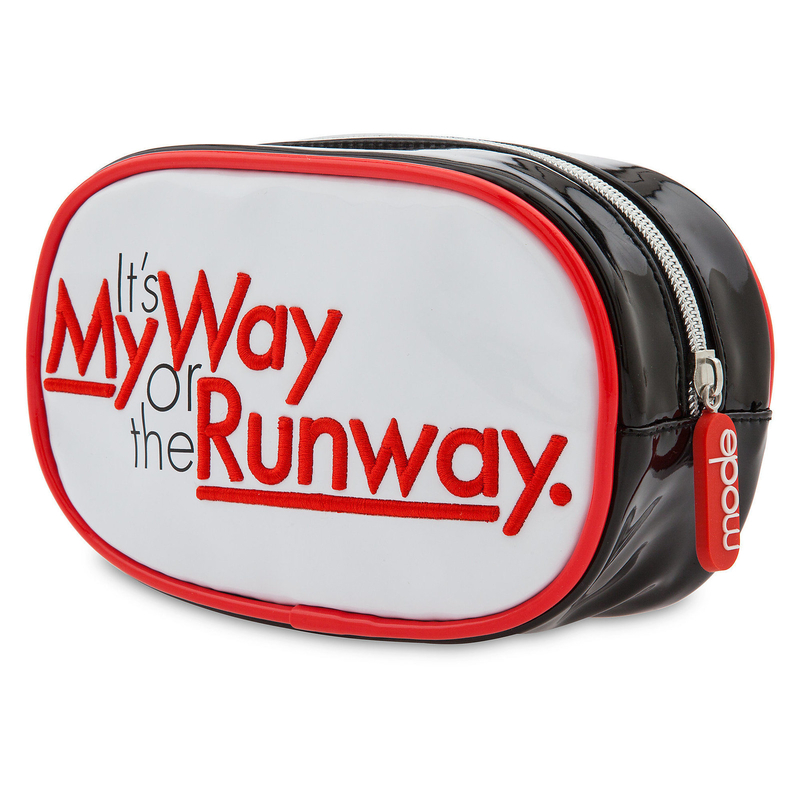 This Edna Mode-inspired zippered pouch so you can channel your inner fashionista no matter where you are, darling. Edna Mode is arguable one of the most fabulous Disney characters of all time — don't debate me on this. Now you can pay tribute to the impeccable superhero costume designer with this practical zippered pouch that's definitely Edna-approved. 3. A throwback sweatshirt that will transport you right back to the 1992 debut of Goof Troop. Featuring a fun '90s color palette and imagery of Goofy's dear son, Max, this pullover is fitting for any Disney fan. I don't know about you, but after seeing A Goofy Movie, I'd pretty much wear anything with Max's face plastered on it. Price: $22.47 (originally $29.95, available in XXL). 4. This "Adventure Is Out There" necklace to inspire you to try new things and get out of your comfort zone. One of the biggest takeaways from Disney Pixar's Up was not to let your insecurities hold you back — but instead to simply get out into the world and have your own adventure. This precious necklace displays the mantra from the film in a stylish rose-gold tone. The hanging balloon is a touching tribute to the film as well! 5. A Beauty and the Beast drinking glass set so you'll never hesitate to ask someone to be your guest. I won't lie to you: Beauty and the Beast is my favorite Disney Princess movie, so it only took one glance at these glasses for me to add them to my cart. 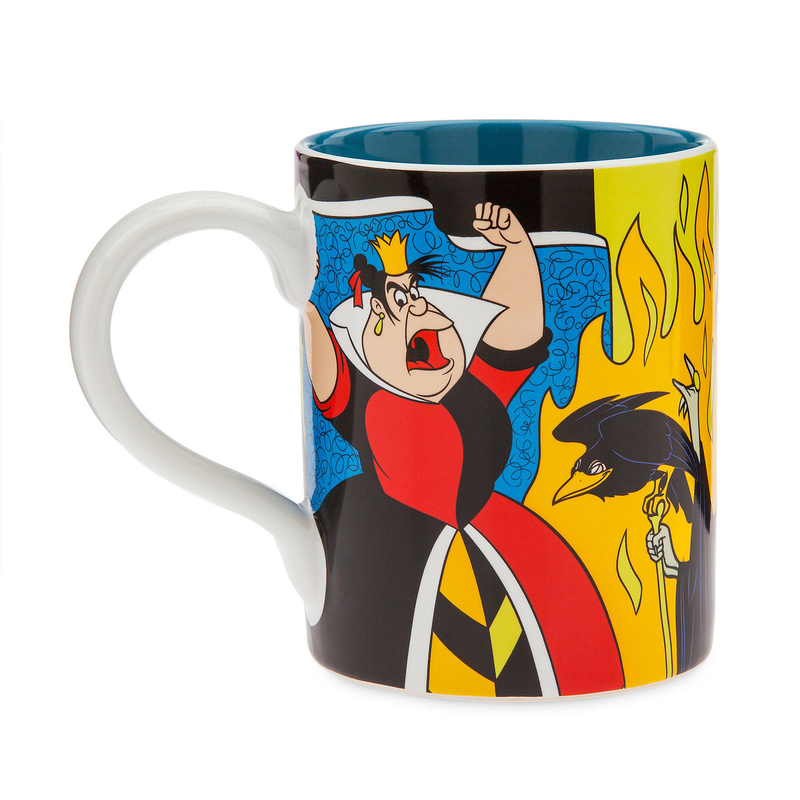 Featuring classic characters from the movie like Belle, the Beast, Gaston, Cogsworth, Mrs. Potts, and Chip, these cups are straight out of a '90s daydream. 6. This Stitch sweater is not only excellent for kicking off the holiday season, but it lights up! Mele Kalikimaka to us all! Experiment 626 has never looked better than he does adorning this cozy sweater! 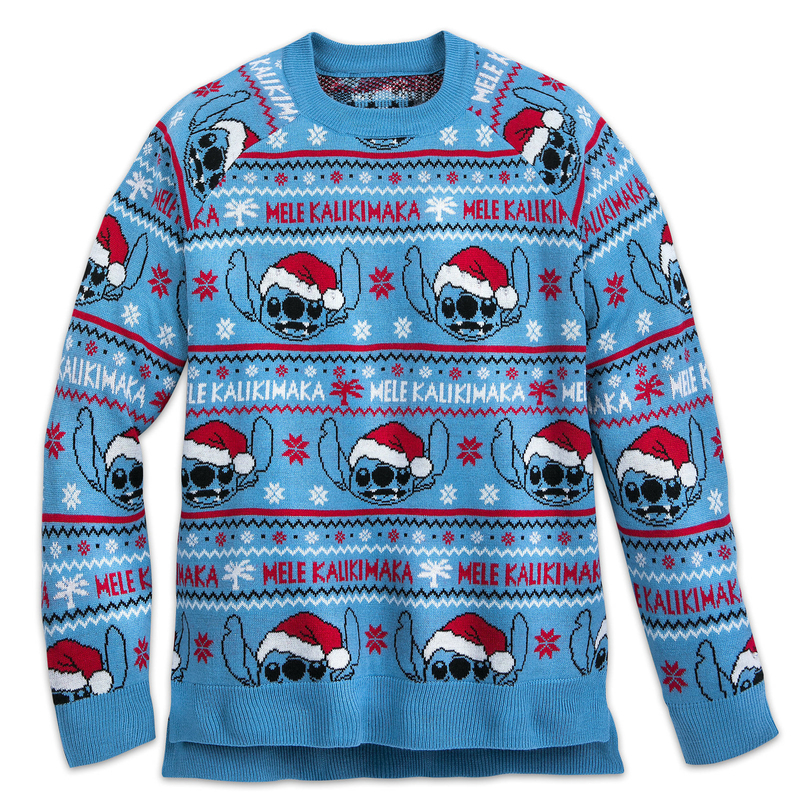 Perfect for showcasing your love for Lilo & Stitch during the holidays or for winning an ugly-sweater contest at the office, this light-up sweater is as festive as it is fantastic. Aliens not your thing? You can also check out similar versions featuring R2D2, Spider-Man, or Mickey. Price: $37.47 (originally $49.95, available in sizes S-XXL). 7. 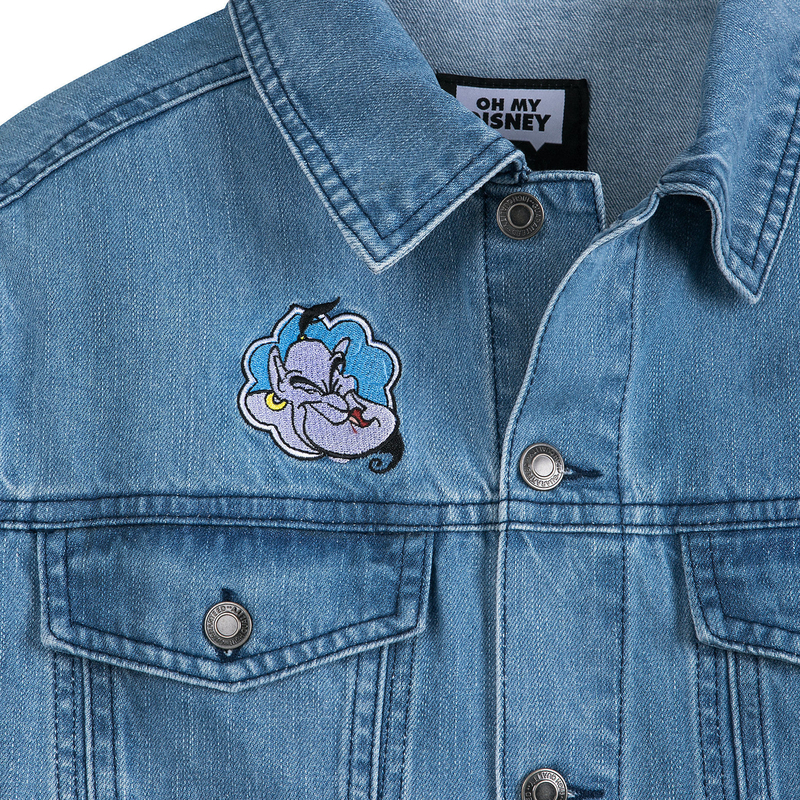 An Aladdin denim jacket to take your wardrobe to "a whole new world." 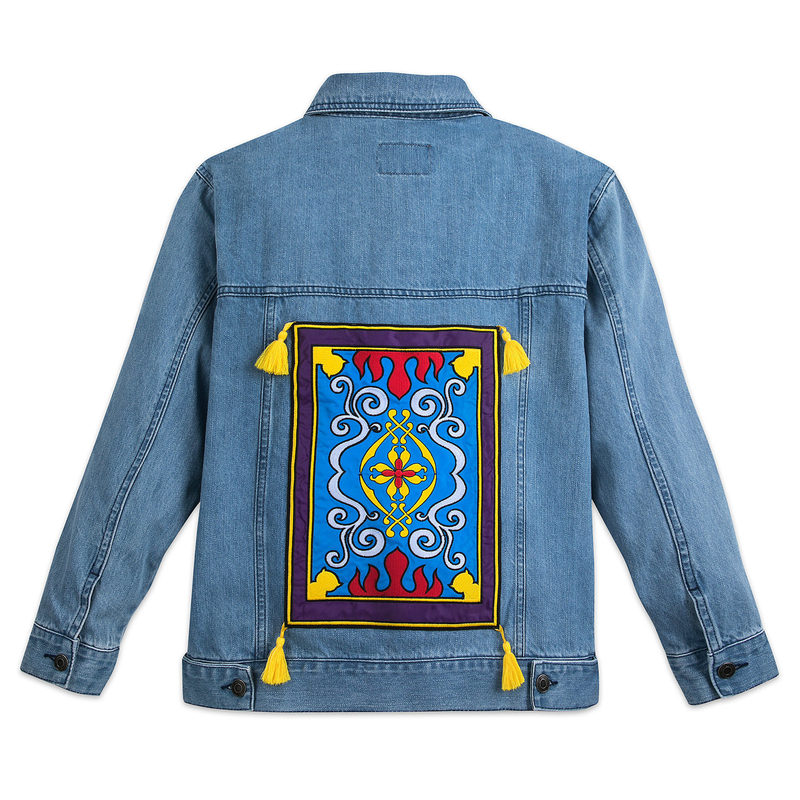 From the Oh My Disney '90s Flashback Collection comes this AWESOME jacket inspired by the magic carpet from Aladdin. I mean, who hasn't dreamt of exploring the skies on an enchanted rug? 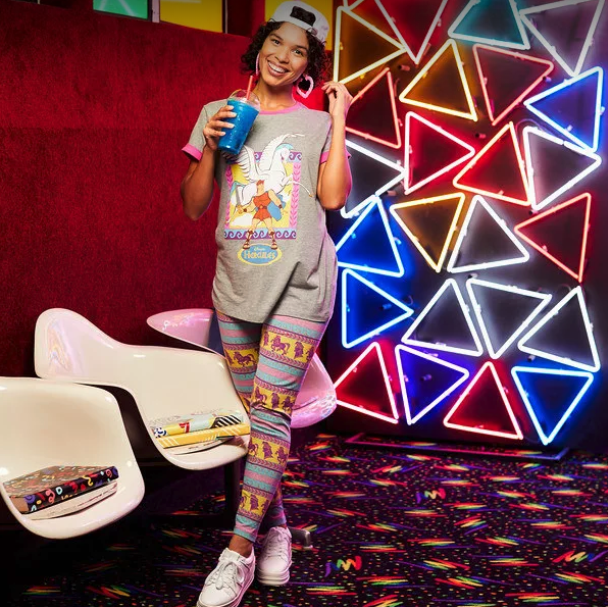 Now you can bring the magic of that classic Disney movie moment into your closet! The tassels hanging off the back are everything as is the subtle embroidery of the Genie in the front. LOVE. Price: $44.97 (originally $59.95, available in sizes XS-XXL). 8. This pair of Rex plush slippers that your kids will never want to take off. Can't you just picture the little one in your life clomping around like a this lovable T. rex all day long? Sorry in advance for when they fight you tooth and nail when you inevitably ask them to swap the slippers out out for sneakers...but they are Toy Story-themed and too fun not to buy! Price: $12.71 (originally $16.95, available in sizes 5/6-13/14). 9. A mini Mickey backpack to show off your love for the classic character wherever you go. This Mickey Mouse Longefly backpack is TOO cute! I love how it has 3D ears and a zippered pouch that resembles Mickey's classic look. Whether you're running errands, heading off to work, or taking a vacation to Walt Disney World, this bag will become a treasured companion. 10. These Hercules pajamas so you can "go the distance" even in your dreams. To say I love Hercules would be a grand understatement — and to say I'm not ordering these PJs as we speak would be a blatant lie. 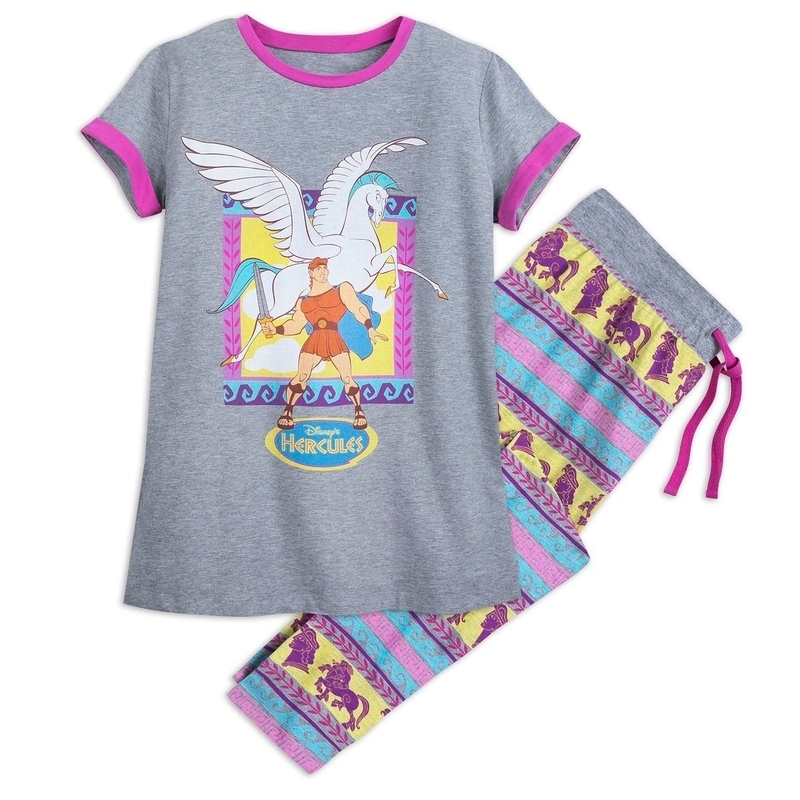 Made of snuggly cotton and featuring the Pegasus and the demigod himself, these pajamas are a must-have. Price: $20.21 (originally $26.95, available in sizes XS-XXL). 11. 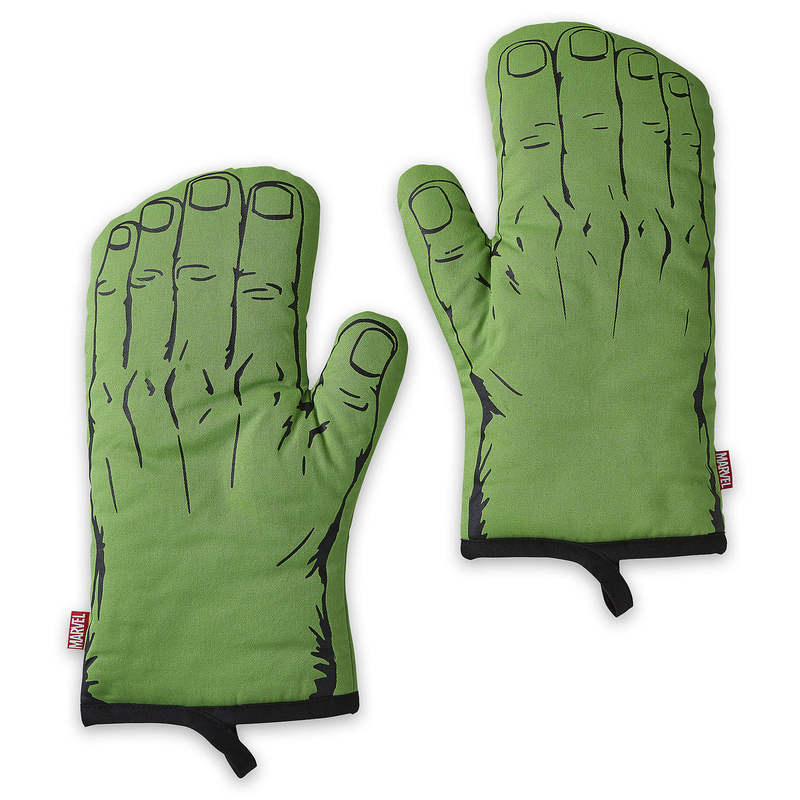 A Hulk oven mitt set that will surely be a "smash" in the kitchen. For the Marvel fans out there — why wouldn't you want to bring a hulking green monster into your kitchen!? 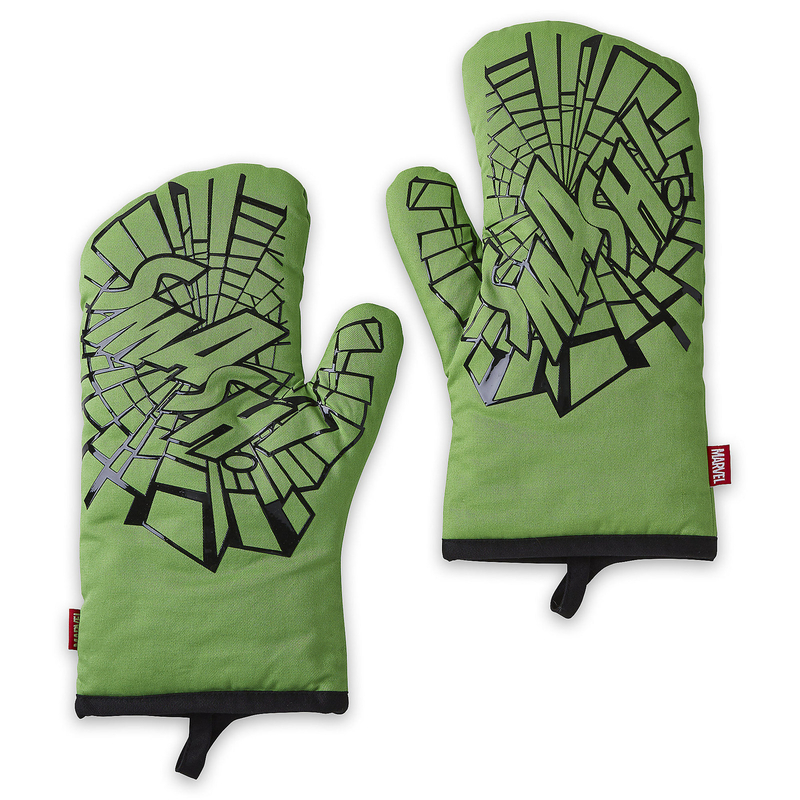 OK, I can see reasons why you might not be super into that, but I promise these oven mitts won't result in a destroyed dinner. 12. This Minnie Mouse skirt for a subtle way to dress in Disney style and honor Mickey's favorite gal. How adorable is this skirt?! If you're not looking to fully put your love for Disney on blast but still want to pay tribute to Minnie, this skirt is just what you're looking for. Made of 97% cotton, this item features an allover pattern of dots with hidden Mickey icons scattered throughout. It's fun and fashionable! I can easily see this being paired with a cute black or white sweater for the holiday season. Price: $11.24 (originally $14.99, available in sizes XXS-XL). 13. A Winnie the Pooh bodysuit that will make anyone squeal upon looking at your adorable tyke. Whether you have your own bundle of joy at home or there's a special kiddo in your life you're simply dying to spoil with gifts, this Winnie the Pooh outfit is definitely too precious to pass up. Imagine how darling the child will look like emulating everyone's favorite Silly Old Bear? Made of 100% cotton, this bodysuit will easily please any parent. Price: $18.71 (originally $24.95, available in sizes newborn-24M). 14. This Mickey waffle maker so you can pretend you're on vacation at the Disney Parks all year long. In my opinion, one of the very best perks of visiting a Disney resort is shoveling Mickey waffles into my mouth. I'm not kidding — I went to Disney's Aulani resort specifically so I could have these waffles on my honeymoon. There's nothing like 'em, so why limit yourself to only having them on vacation? Use this waffle maker to welcome Mickey right into your home kitchen. Delish! 15. A Disney Princess mixing bowl set because you'll need cute accessories to make all the waffle batter in! Give your kitchen accessories a royal makeover with a little help from this mixing bowl set! Complete with two bows and two whisks, these items star all of your favorite Disney Princesses! From Snow White and Aurora to Mulan and Jasmine, you'll love reminiscing on these classic flicks while you whip up something delicious. 16. This set of Disney holiday pajamas to take your family Christmas photo to the next level. If you ask my sisters they will reluctantly tell you how I surprised them with matching Disney pajamas last Christmas — and this year will be no different. Featuring classic characters like Mickey, Minnie, Donald, Chip and Dale, these adorable PJs are exactly what you need to get everyone in the holiday spirit! Price: $12.71+ each (originally $16.95+ each, available for babies, kids, women, and men). 17. A lightsaber so you can fight off evil at any given moment. OK, look...lightsabers are just COOL and why wouldn't you want one for 25% off!? This one is a replica of the all-knowing Yoda, which makes it even more necessary to purchase. 18. This personalized Mickey Mouse fleece zip-up that will keep you warm and cozy all winter long. This zip-up gives me SUCH Mickey Mouse Club vibes! I love the Mickey appliqué in the corner and that you can easily have your name added onto the jacket. If Mickey isn't your fave (GASP!) then you can also find similar coats starring Donald Duck or Minnie Mouse. Price: $18.75 (originally $25, available in sizes S-XXL). 19. A pretty pink Beauty and the Beast T-shirt your wardrobe is just begging you to add to your Disney tee collection. 20. These eight-color ballpoint pens that will make you nostalgic for your favorite '90s Disney flicks. Few things make me as nostalgic as pens like these. I can easily recall using one of these bad boys to doodle all over my papers in school — there were just so many color options! Combining this old-school utensil with '90s Disney movies like Aladdin, The Hunchback of Notre Dame, A Goofy Movie, The Lion King, Beauty and the Beast, and Hercules is nearly too much to handle. Price: $5.21 each (originally $6.95 each). 21. 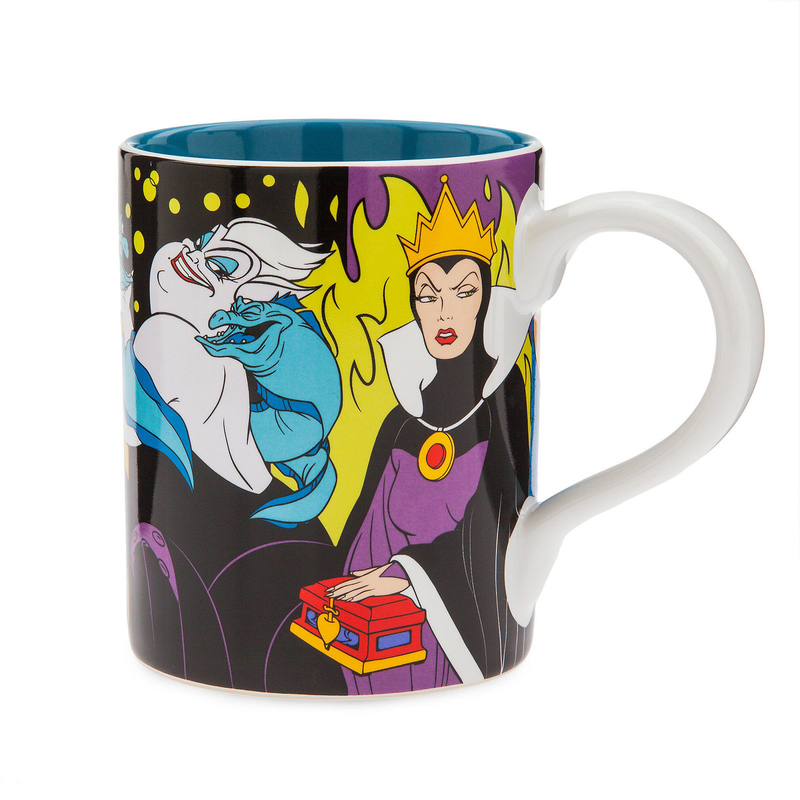 A villainous Disney mug so you can quietly sip your tea while channeling your inner-evil vibes. All you need is faith, trust, pixie dust, and a credit card to take advantage of this *~magical~* sale, so get to it!